This image shows several antennas which make up part of the Atacama Large Millimetre/submillimetre Array (ALMA). 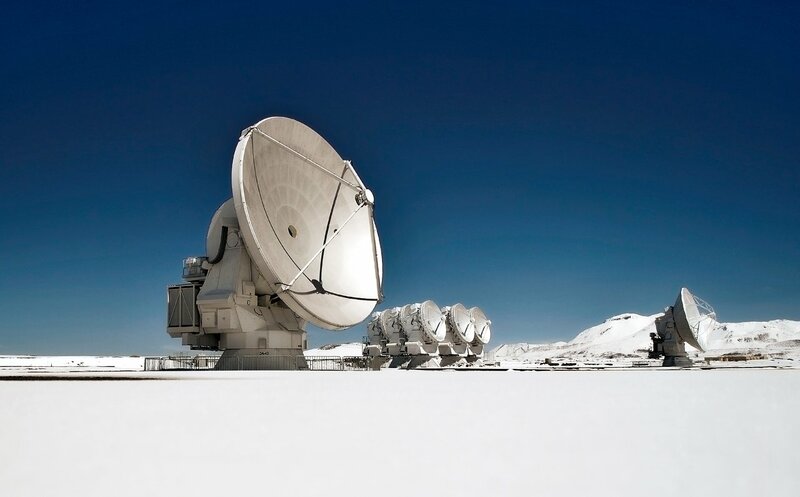 ALMA will be composed initially of 66 high precision antennas located on the Chajnantor plateau, 5000 metres altitude in northern Chile. 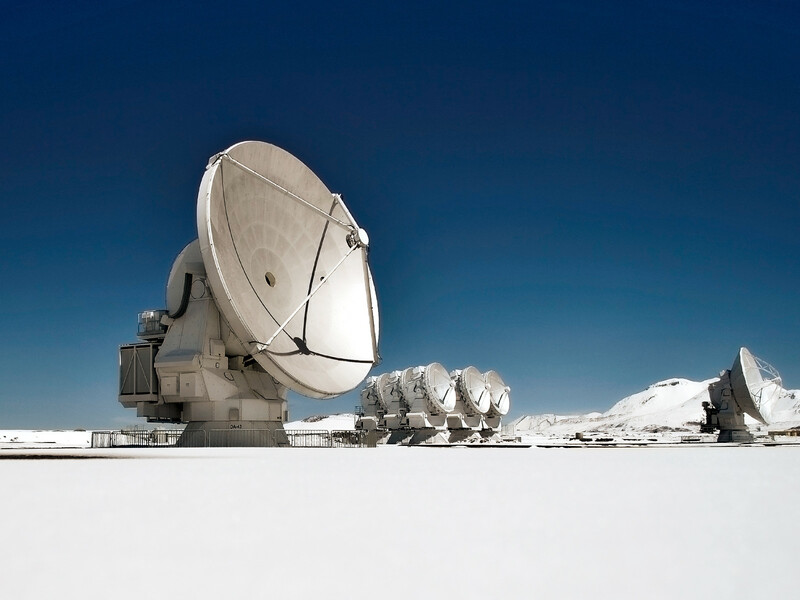 These antennas are seen among a cool, snowy backdrop. 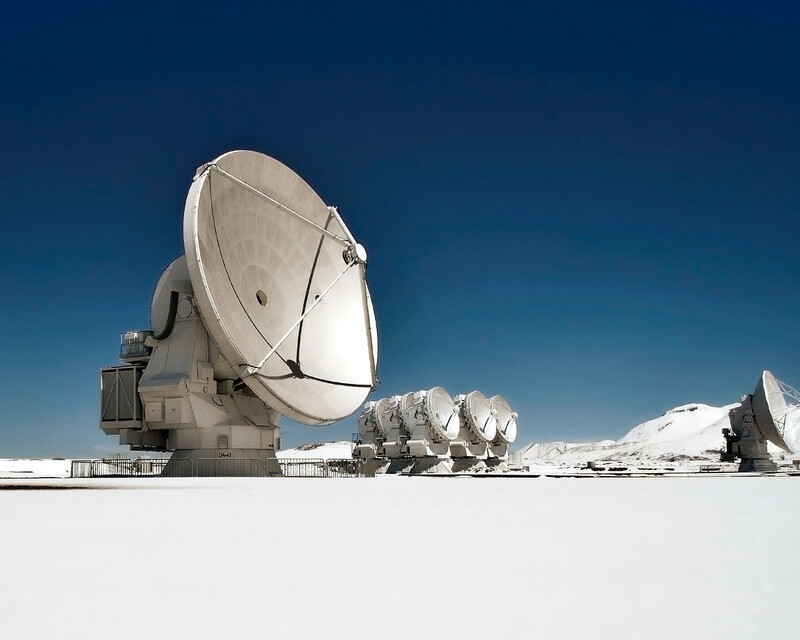 ALMA is also where all the “cool stuff” is happening. Among the most profound mysteries in astronomy are the origins of things such as galaxies, stars, planets, and the molecules that seed life. ALMA observes light emitted by cool-temperature objects in space, which permits us to unravel profound mysteries about the formation of planets and the appearance of complex molecules, including organic molecules.